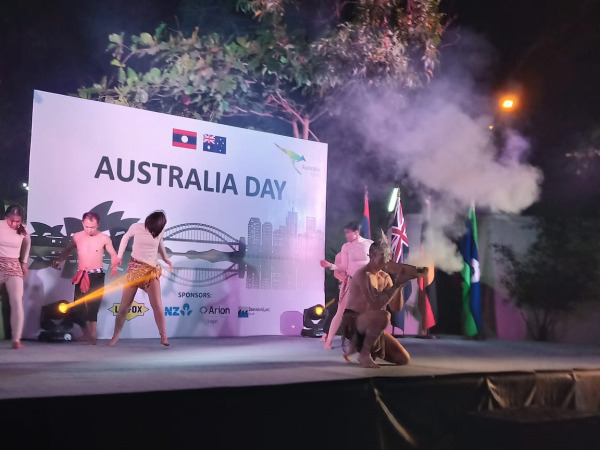 (KPL) Australian Ambassador to the Lao PDR, Mr Jean-Bernard Carrasco hosted a reception party to mark the Australia’s National Day, mostly known as Australia Day, in Vientiane Capital on Jan 24, 2019. Present at the celebration were the Minister of Industry and Commerce Khemmany Pholsena, the Minister of Energy and Mines Khammany Inthirath, the Vice Minister of Foreign Affairs Khamphao Eunthavanh, representatives of international organisations and diplomatic corps. “Australia is one of the most multicultural nations in the world. 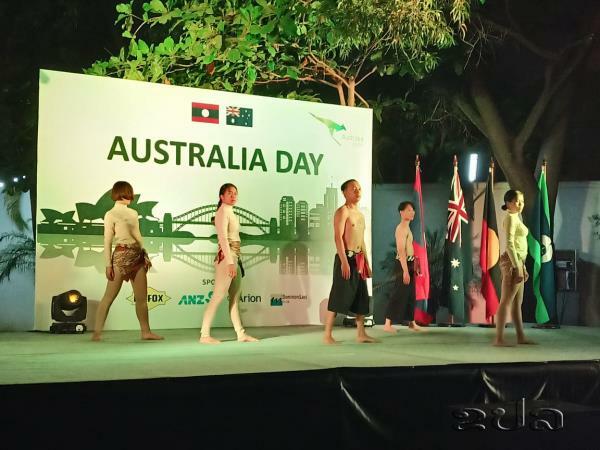 Our population of 25 million consists of more than 300 different ancestries– which includes around 12,000 Australians of Lao heritage. The first Australians, the indigenous peoples, arrived around 65,000 years ago. Today they keep one of the world’s oldest civilisations alive, enriching our contemporary society,” said Ambassador Carrasco. 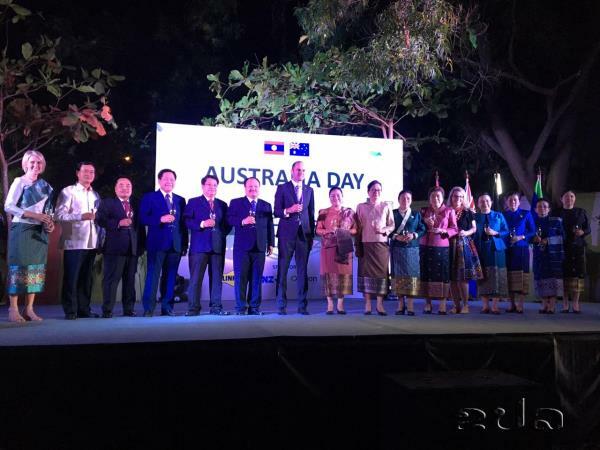 This year marks the 67th anniversary of uninterrupted and friendly diplomatic ties between Laos and Australia. Last year around 450 Lao students were studying in Australia’s world-leading schools and universities, many with the support of an Australian government scholarship. More than 200 Australian students have also visited the Lao PDR since 2015 to exchange knowledge and research under the New Colombo Plan education programme. And since 1986 more than 500 Australians have volunteered their time to help Lao organisations meet their development goals. Immediately, Australia was ready to support the Lao Government in its response to the disaster delivering emergency supplies to Sanamxay district within four days of the incident, and its ongoing assistance totalling AUD 3 million is helping the affected families, especially women and children, to rebuild their lives. 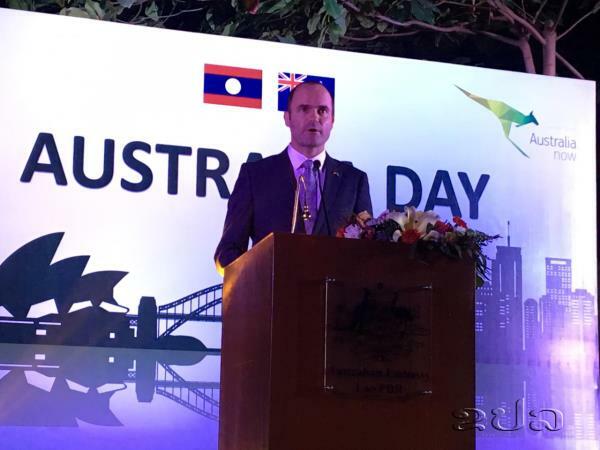 Australian development programme reaches nation-wide, and focuses on the most important factors for Laos to achieve its economic and social goals: quality education for all primary school students; a skilled and diverse labour force; a growing private sector; the sustainable use of water resources; and opportunities for women, girls and people with disabilities. This year, the Australian government is also supporting the Lao government’s dam safety review to ensure the hydropower sector can sustainably and safely contribute to the Lao economy, and funding UXO clearance in Sanamxay district in Attapeu.